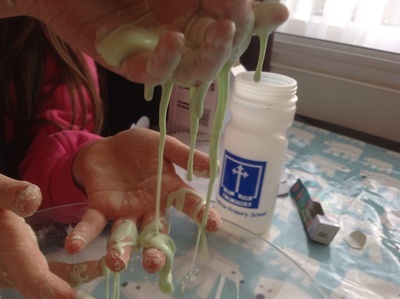 This is a great science activity for older children. 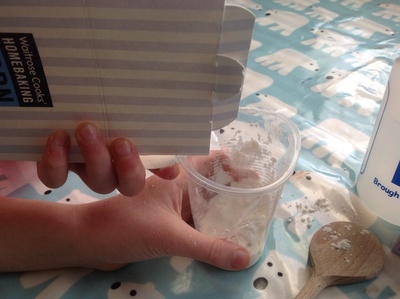 They will be fascinated by the properties of cornflour mixed with water. Pushing and squeezing this non-Newtonian liquid makes it go firm, turning from custard to solid simply by squeezing. Let it go, and it drips right out of your hands! 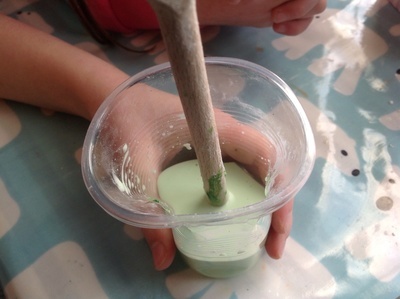 Put the cornflour in the mixing cup or bowl. Slowly add water and gently mix. While it is still easy to mix, add some green food colouring. Soon, as the liquid takes on it's amazing properties, it becomes difficult to mix. Once it gets to that stage, you'll need to gently move it and then let it mix itself. Tip the mixture out into a bigger bowl or onto a table and marvel as you pick it up. It will feel like a solid powdery substance when you are handling it roughly, but as soon as you stop it will turn back to liquid again. You can vary the consistency by adding more cornflour on top of the mixture and squelching it up with your hands. You could mix these up in ziplock bags and give them to children at a party to take away as ready-made party bags. 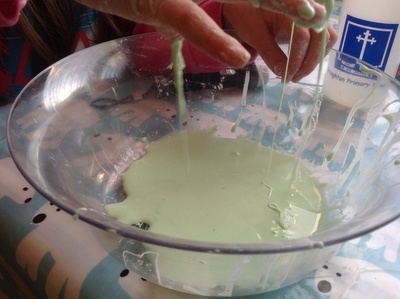 You could also use glitter as well as dye to make the slime more fancy! Is Netflix improving the quality of TV? I haven't given quantities because I don't want to dictate how much cornflour people should use, and the water is gradually added rather than being a set amount that you put in. 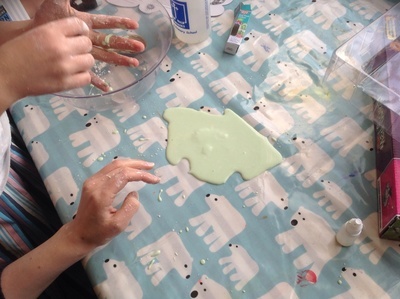 Use however much cornflour you want in slime - say a whole cupful, and the you would simply add water to that slowly until it reached the right consistency. 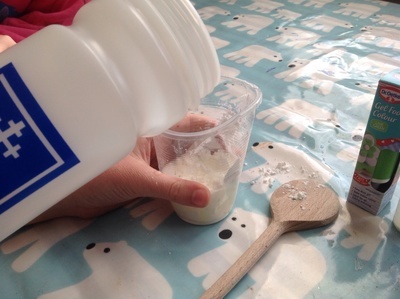 Go to far with the water and you could then add more cornflour. This one is an experiment for kids rather than being an exact science. HOW MUCH cornflower ?? HOW MUCH water ? ?